This post was first published in July 2011 but is getting new life thanks to reFresh Friday. I don’t care if you’ve already got your Father’s day gifts all wrapped and ready to go (although, that is really impressive and who are you?? ), you’re going to need to add these to the present. 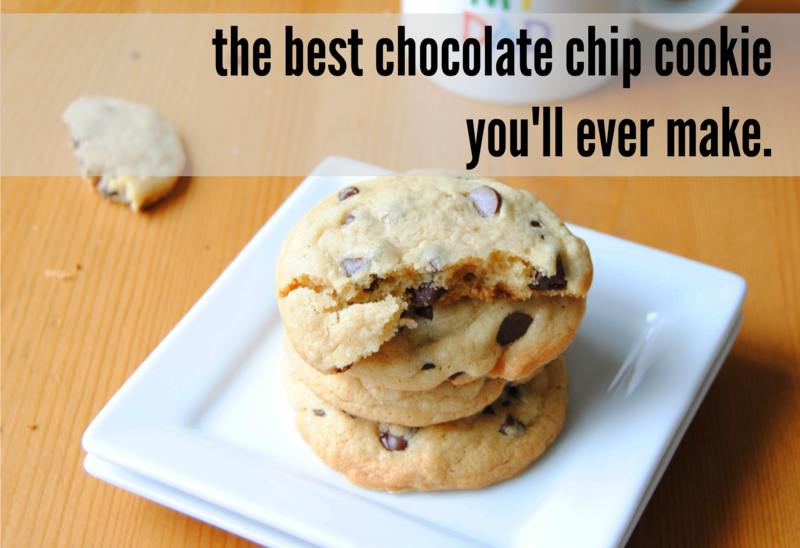 They’re the best chocolate chip cookies you’ll ever eat. No, I’m not exaggerating. These things will rock your world. add dry ingredients in thirds. 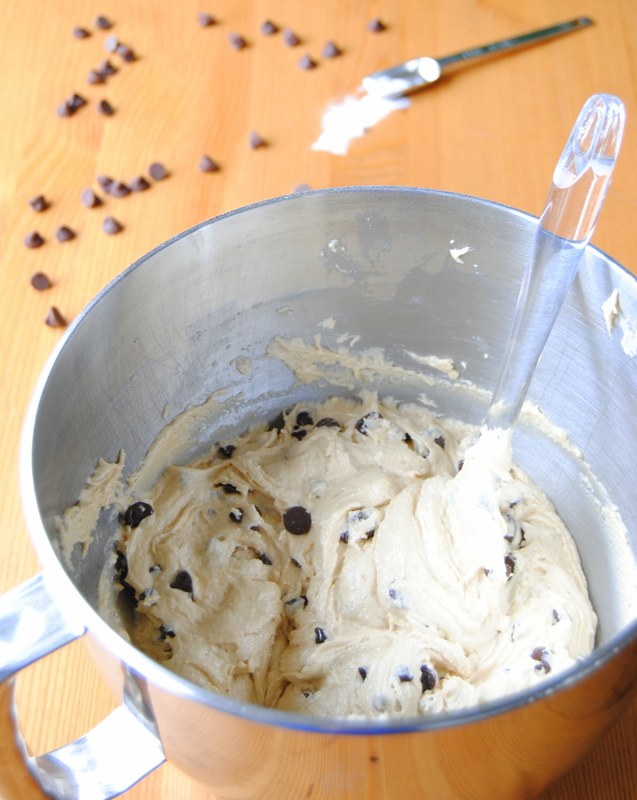 add about 2 cups of chocolate chips (more or less depending on personal preference). bake at 350 degrees for 12 minutes (or more if you like darker cookies). This cookie is one of the more cake-like, lighter cookies. Whip the wet ingredients until they’re full of air and fluffy for best results. 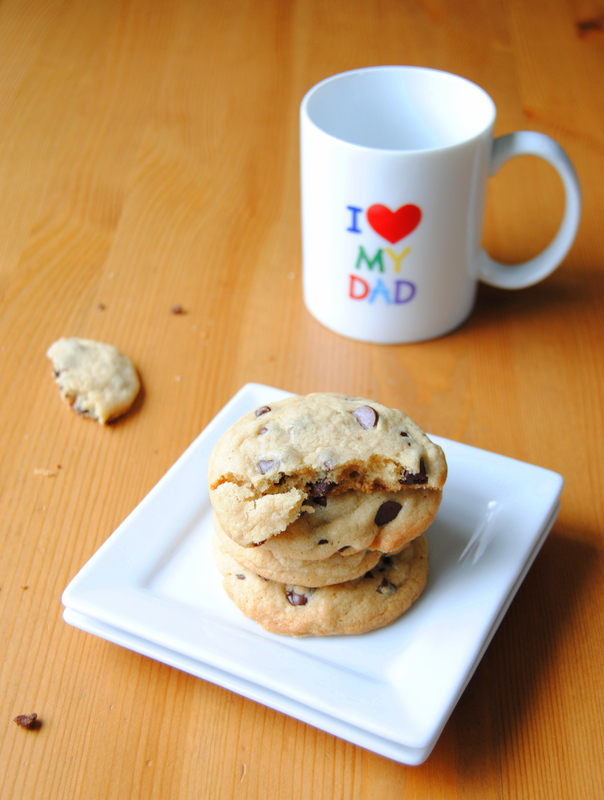 Then serve them to your dad and immediately win the best-child-ever award.